No matter what type of business you’re in, you need reliable storage, data protection and data recovery you can count on. Today’s block and file storage technologies, combined with multiple data protection features, are complex. 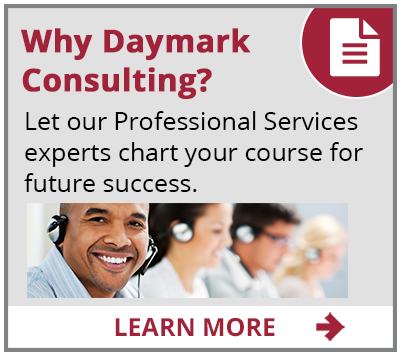 Daymark’s Managed Storage Services turns our engineers into your storage administrators, freeing your staff to focus on strategic initiatives. Our team provides the expertise and management while you stay in complete control of your data. By partnering with Daymark, your organization can leverage the entire team of experienced storage engineers who are up-to-date on the latest technologies, proficient at handling tough issues, and are ready to address your needs. Our proven methodology and tools guarantee agility, performance, and peace of mind that storage will be available and deliver the performance needed. Contact us today to learn how our expertise in architecting, deploying and administering today’s leading storage technologies can be put to work for you.